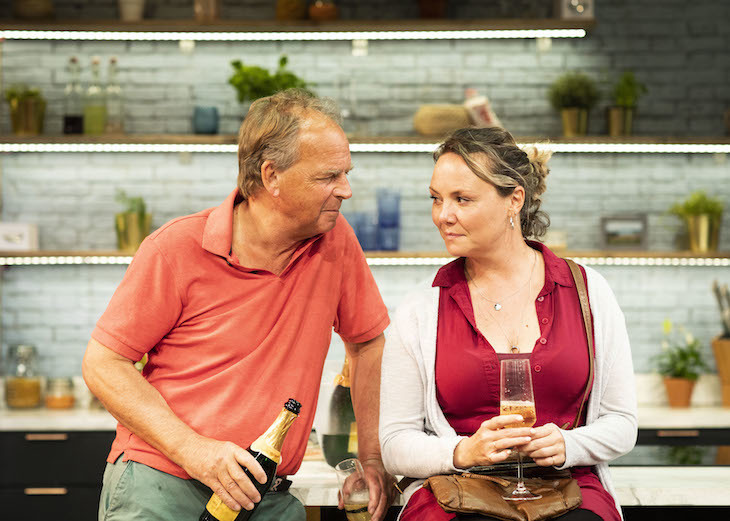 Torben Betts’ new comedy-drama Monogamy serves up a biting critique of the celebrity chef phenomenon while playing out the gradual development of a family in crisis. 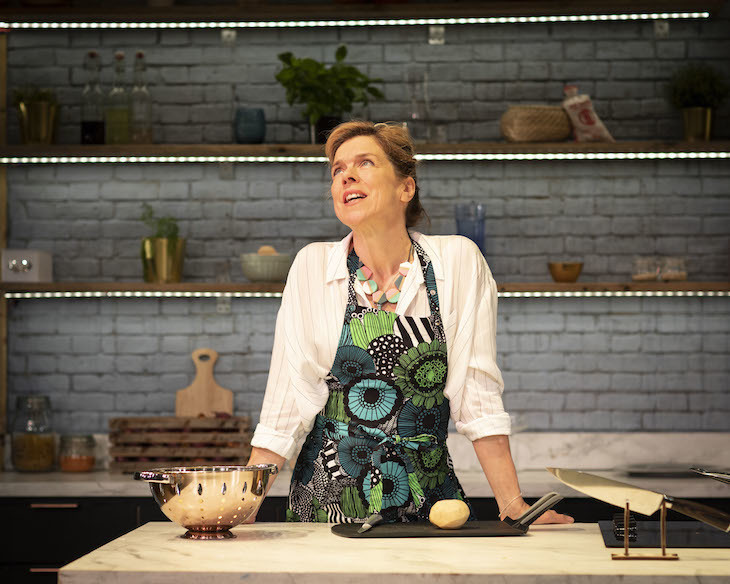 Set in a rather swanky kitchen in Highgate, the drama centres around TV chef Caroline Mortimer, who, we find out, is cheating on her golf-playing, ‘jolly good show’ type husband with her teetotal, muscly handyman. Throw in a coked-up personal assistant, a vegan Cambridge-graduate son who has recently come out as gay, and a woman who is definitely not who they think she is, and you have a recipe for disaster. Janie Dee, who plays Caroline, performs well, with a Nigella-esque on-camera personality, and a wine-addicted selfish mother front when the film isn’t rolling. Similarly, Jack Archer (son Leo) and Jack Sandle (the husband) do a stellar job — the problem, in fact, isn’t to do with the rather stunning acting. The plot, however, leaves a little to be desired, with a rather boring and repetitive storyline which feels much longer than it ought, or need, to be. Watching Monogamy is like sitting down to an evening sitcom: a little laughter, a fair bit of drama, but ultimately a story that could have been told in an ad break. 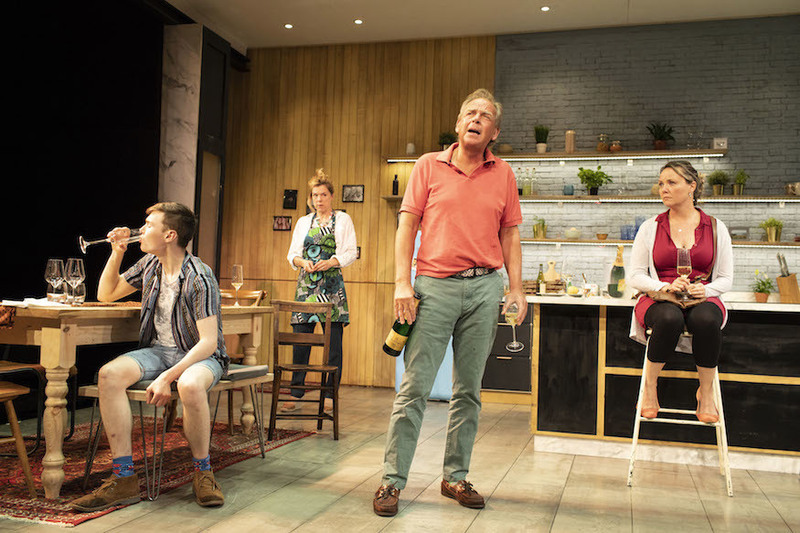 Monogamy, Park Theatre, Clifton Terrace, Finsbury Park, N4 3JP, until 7 July 2018.